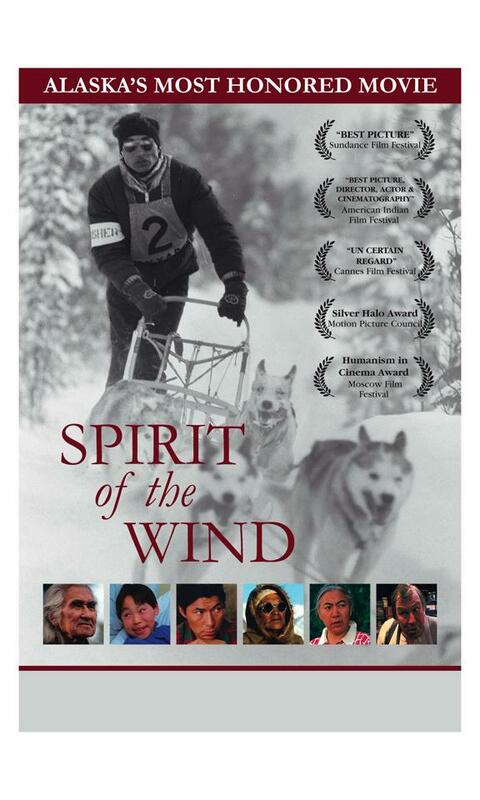 The Spirit of the Wind movie has been re-released on DVD. Check out this story from KTVA: After 30-plus years, a film about legendary musher George Attla is re-released: http://bit.ly/MSQFHo. You can see a few clips from the movie on the story. The director reworked the color in the film and it looked great on the screen. Jade Boutique owners Cari Mayo and Georgia Attla are proud to be selling the DVD about their grandpa. They are also selling Spirit of the Arctic DVD, a timeless northern journey of natural sounds and images with Native voices and music. 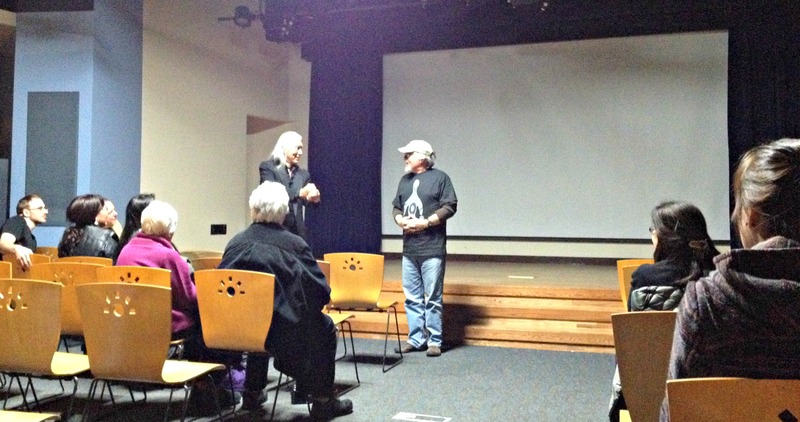 The Alaska Native Heritage Center held a re-release reception and showed the movie followed by a question and answer period. It was great to see the movie on the screen. Director Ralph Liddle and the actor who played Pius Savage answered questions after the movie. During the Q&A period, I learned a few things from behind the scenes. George Attla’s actual dogs were used in the movie. They only had enough funds for two big name stars. Slim Pickens and Chief Dan George were the big stars. Slim Pickens loved that old snow-machine featured in the movie, and it was affectionately named, “Amigo”. Slim loved it so much that he had it sent to him in California. Many of the aerial shots were from a helicopter. The pilot was a Vietnam veteran. He flew so close to the ground at one point that the camera man’s feet were touching the tops of the trees. Pius Savage was chosen for the lead role because he not only looked the part, but was also a pilot. It was shot in 35 mm film. It was a low-budget film. Rose Ambrose (George’s actual sister) played his mother in the film. After the movie, she was offered a part in a mini-series on Huns in China. Despite being offered $5,000 per week for five weeks, she turned the role down. At the time, she was a health aide in Huslia, and couldn’t leave her job. It was touching to learn things about behind the scenes. It was great to see people in the movie. It is a great piece of history to cherish. Like many others, I hope the film touches and inspires a whole new generation. What was the your favorite part of the movie? How has it touched and inspired you? Comment below. I just saw the DVD and am looking to buy a copy. My favorite part? The scenes at the fish camp and the making of the fish wheel! Awesome! I have to re-watch those parts! The Alaska Native Heritage Center in sells it online at: http://store.alaskanative.net/browse.cfm/cultural-movies/2,28.html. You can also visit their gift shop in Anchorage. You can also buy it at online from Jade Boutique in Fairbanks at: http://www.jadeboutique707.com/. Any place to download the Spirit of the Wind movie?